Texas Citizens Participation Act: Current and Future Boundaries of “Anti-SLAPP” in Texas, The Advocate, Fall 2018, Volume 84 (2018). María Amelia Calaf is an accomplished litigator with first-chair experience trying cases and representing clients before federal and state district and appellate courts throughout the country. She has represented Fortune 100 companies, the State of Texas, private corporations and individuals in high-stakes, complex commercial litigation matters and arbitrations, as well as internal investigations and inquiries by the U.S. Department of Justice, the Securities and Exchange Commission, FINRA, and various State Attorney General’s offices. 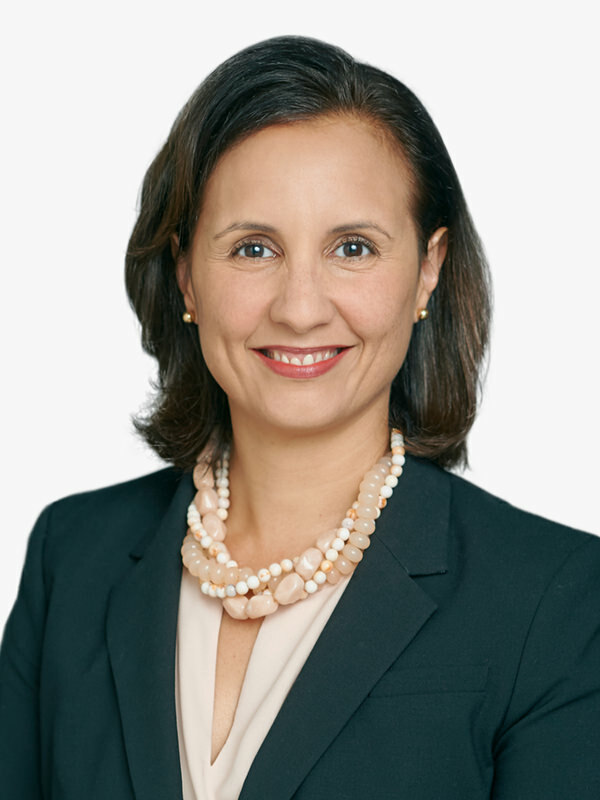 Prior to joining Wittliff | Cutter, María Amelia was the Manager for Complex Litigation in the General Litigation Division of the Office of the Attorney General of Texas, where she led teams representing the State of Texas in high-profile lawsuits defending challenges to state laws and matters involving statewide institutional reforms. She also has extensive experience in private practice counseling individual and corporate clients resolving business disputes and navigating regulatory inquiries. She has advocated for clients in a wide range of industries, including biotechnology, pharmaceutical companies, electronics manufacturers, software developers, investment banks, hedge funds, start-ups and educational institutions. María Amelia began her legal career as a law clerk to the Honorable Jon P. McCalla, U.S. District Court for the Western District of Tennessee. After that, she practiced complex commercial litigation and white collar criminal defense in the New York City offices of the national law firms of Boies Schiller Flexner and Goodwin Procter. Over the years, she has been an advocate for survivors of domestic violence and women of color. Lead trial counsel for the Texas Alcoholic Beverage Commission in constitutional challenge by largest publicly-traded retailer to Texas laws governing the sale of liquor. Defend largest privately-held seed company in the United States in complex civil litigation, including RICO, fraud and racial discrimination claims. Advocate for the Software & Information Industry Association, the principal trade association for the software and digital content industry, before various federal appellate courts as friend of the court on legal issues promoting and protecting the industry’s interest. Successfully defeat motions to dismiss filed in Texas’s state courts pursuant to the Texas Citizens Participation Act (Texas’s Anti-SLAPP law), including defending dismissals on appeal. Advise business clients on defamation claims relating to false, negative online reviews and unlawful impersonation issues. Represented State of Texas in a First Amendment challenge to credit card regulations in federal district court; prevailing on a motion to dismiss upheld by the Fifth Circuit Court of Appeals. Resolved multiple multi-million dollar claims against the Texas State Comptroller involving challenges to tax assessments from a wide range of businesses involved in the food industry, telecommunications, aeronautics, and real estate. Defended individual hedge fund manager in connection with one of the first SEC investigations into high-frequency trading practices. Counseled international investment bank in connection with various FINRA inquiries regarding trading practices and compliance requirements involving trading practices. Defended global electronics firm against multi-million theft of trade secret, breach of contract, and tortious interference claims in New Jersey courts and before an international tribunal. Represented international financial institution in arbitration regarding breach of contract claim, resulting in favorable settlement. Represented senior executive in civil securities cases and assisted in achieving dismissal of claims in federal court, upheld by the Court of Appeals for the Third Circuit.